This is for CFW 3.55 OtherOS++ Only. Then you will need to download the special OtherOS++ PUP. After you flash and install from USB Storage device you will need to install the Easy QA Flag PKG. Click the Program under the game category and you will here a few beeps. If not dump your debug messages via udp_printf on linux and send to us to fix. 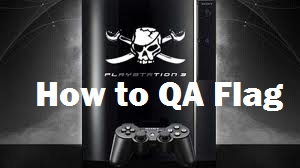 Restart the PS3 and you are officially QA Flagged. After it is finished you can install Kmeaw CFW from USB Storage Device Right over. It will only work on CFW OtherOS++. Support for Others are coming soon. Please Do not Install a floating around QA_Easy.pkg. It is claimed to brick consoles and is a fake release. Make sure its from Gitbrew.